Nicolas Seube is scientific director of the CIDCO (Interdisciplinary Center for the Development of Ocean Mapping), Rimouski, Québec, Canada; formerly the coordinator of the French Category A programme at ENSTA Bretagne from 2005-2014. Hydro International asked him 5 questions. CIDCO is a research centre which offers a Category B programme (CIDCO course in Hydrographic Surveying). But we share the same concerns as universities in attracting students to marine geomatics careers. Hydrography is not well known, geomatics a little bit more, and students in geodesy-geomatics programmes can easily find jobs in land survey, geomatics. To attract students to marine geomatics, our Category B programme has been designed as follow-up to the technical diploma in land surveying. This enables us to start our course on firms grounds in applied geodesy, positioning and land surveying techniques, and to focus our programme more on the marine survey topics. CIDCO also offers part of the programme in e-learning and distance learning. CIDCO has invested a considerable amount of time in designing educational methods and content specific to hydrography-related e-learning with the help of experts in educational science. This innovation is well appreciated by students. What impact does the increasingly important role of hydrography have on education? The growth of hydrography requires more professionals, who are well educated and/or trained. The complexity of hydrographic systems is increasing and new techniques are being investigated to respond to the need for hydrographic data in extreme environment (for instance, deep, turbid, non-accessible). This creates new avenues for education in hydrography, but to keep programmes within acceptable time frames, we focus on the core content of hydrography. Our main learning outcome is to enable students to learn by themselves and to adapt to new technologies. We invite manufacturers to sponsor our programme through the free loan of equipment and software. Some of them are very collaborative, and we appreciate the involvement of the industry in our Category B programme. 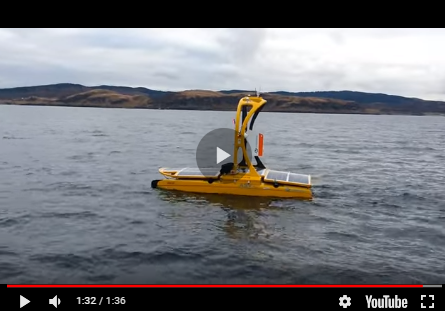 To me, the biggest challenge in hydrography is to automate survey operations using unmanned underwater or surface vehicles specifically devoted to surveying. Unmanned systems are very effective force multipliers and should contribute to reducing the cost of survey operations. To do so, we need to re-define a certain number of survey tools and components and to integrate them in robotic systems. In our Category B programme, the final comprehensive field project includes shipborne survey operations, but also the integration of an autonomous survey vehicle and remote survey operations. We think this will be part of the future, and we need to prepare our students in using these techniques. I would advise them not to start a company before gaining some field experience. Competence is made of prior education and experience. I believe that competence in hydrography is an absolute pre-requisite to starting a successful company. For experienced ex-students, my advice would be to start companies at the frontier between innovation in survey system design, new survey techniques and survey operations.